NEW YORK (Reuters) - General Electric Co said on Wednesday it will move its global headquarters to Boston, tapping the city's technology talent and likely lowering its tax bill as the industrial conglomerate seeks to lift profit and emphasize digital capabilities. "We want to be at the center of an ecosystem that shares our aspirations" as a leader in digital-industrial activities, GE Chief Executive Jeffrey Immelt said in a statement. "Greater Boston is home to 55 colleges and universities. Massachusetts spends more on research and development than any other region in the world, and Boston attracts a diverse, technologically-fluent workforce focused on solving challenges for the world," he added. "We are excited to bring our headquarters to this dynamic and creative city." Boston Mayor Martin Walsh said GE's decision resulted from "the city's willingness and excitement to work creatively" to attract the company, bringing 800 high-paying jobs to the city. The move also will lower GE's tax bill. Even though Massachusetts is often called "Taxachusetts," it ranked 25th in a 2016 Tax Foundation survey of positive business tax climates among U.S. states. Connecticut ranked 44th, near the bottom. Connecticut's corporate income tax rate is nominally 7.5 percent, but GE likely pays an effective rate of 9 percent due to surcharges on growth income, versus 8 percent in Massachusetts, said Jared Walczak, a policy analyst at the Tax Foundation, a nonpartisan think tank. Connecticut also has many corporate tax structures that are less favorable than other states', such as rules that could put more of GE's global sales within Connecticut's grasp, and those probably also tipped the decision, Walczak said. "Given the cost of corporate relocation, I suspect that GE anticipates substantial tax savings from the move," he said. GE's decision caps a search that intensified last summer as Connecticut lawmakers passed a budget that increased taxes by $1.2 billion over two years, drawing protests from some of the state's biggest corporations. The same month, Immelt said in an email to employees that he asked a team to examine the company's options to relocate the headquarters to a state with a "more pro-business environment." "This wasn’t only about dollars and cents but what Boston and New England brings to the table," said John Fish, chief executive officer of Suffolk Construction Company, New England’s largest building company. The 124-year-old company is undergoing a major restructuring to emphasize digital and industrial capabilities. Earlier on Wednesday, GE said it would cut up to 6,500 jobs in Europe over the next two years, including 765 in France and 1,300 in Switzerland, as it restructures and integrates its acquisition of Alstom's energy business. With 800 employees, the Boston headquarters will be the same size as Fairfield, but its makeup will change, GE said. The new office will employ about 200 administrators and 600 "digital industrial product managers, designs and developers," GE said. Those workers, spread among the company's GE Digital, Current, robotics and life sciences divisions, will share technology developments across business units, GE said, helping develop software to run the machinery the company manufacturers. GE had been based in Fairfield since 1974. The planned move is a blow to Connecticut, which in December reduced corporate taxes to thwart criticism that the state is unfriendly to business. Fairfield's 2013-2014 annual report listed GE's headquarters with an assessed value $74.7 million and ranked it the city's largest property tax payer. "Of course we are disappointed, and we know that many in Connecticut share that frustration," Connecticut Governor Dannel Malloy said. "While GE’s headquarters may be leaving, I have been assured that the company will continue to have many employees working here in Connecticut." GE's presence in the state had been shrinking because much of it was related to its finance arm, GE Capital. 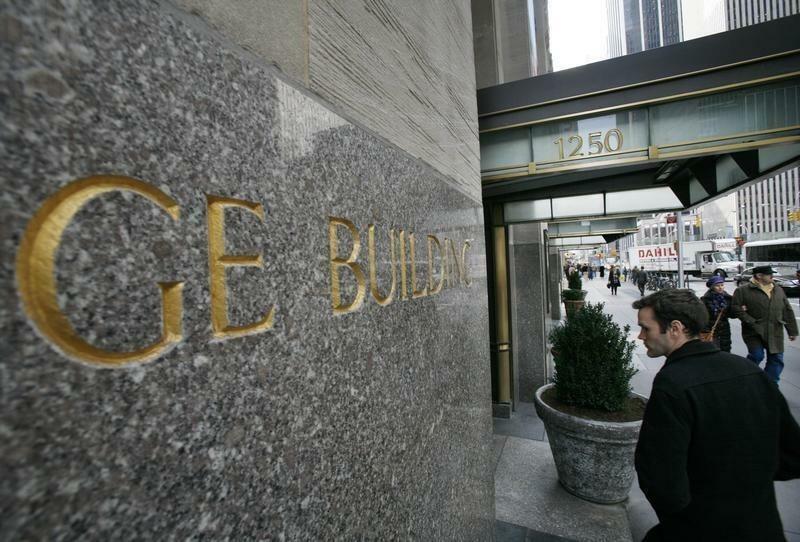 The company is selling off the bulk of GE Capital as part of its restructuring.